The many layers of Torrei Hart will surprise you, and surprising people is exactly what this fiery, ambitious, driven and beautiful woman does so well. 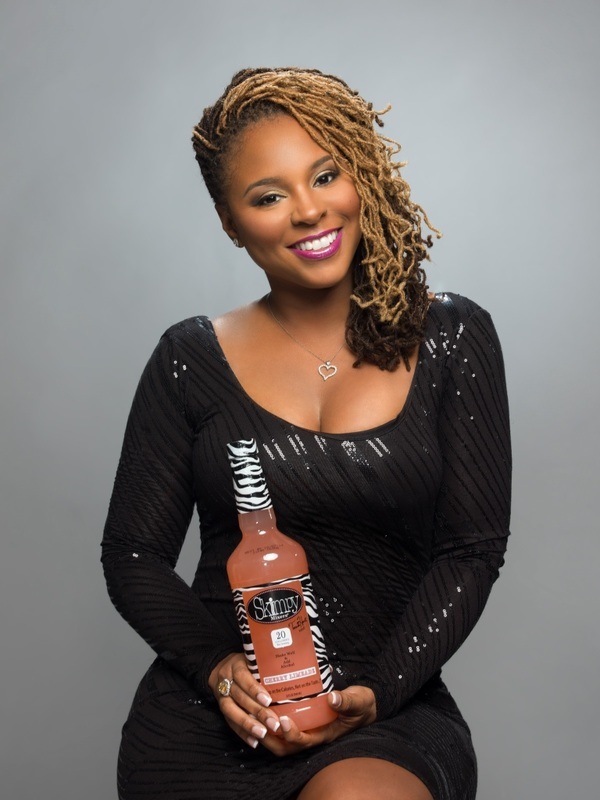 American Actress, producer, reality TV star and business woman Torrei Hart has been through the storm and survived one of the toughest events a person can go through in the public eye – the breakup of a high profile marriage. However she hasn’t just survived it, she has redefined the woman she is and is building a legacy for her children and her family through the vast opportunities that have favoured her so. As the world watched when her eight year marriage to Hollywood superstar and comedian Kevin Hart crumbled amidst issues of infidelity ( of her ex-husband and his now fiancé) , Torrei Hart did what any red blooded female would do, she fought back and showed that her pain was real. Hollywood or not , her pain, her anger, her disappointment was real and in showing how she felt, gave an authentic face to what was a dark period in her life. Some people criticised her, judged her and offered their words of non-wisdom as they pleased through social media, whilst others supported, encouraged and stood by her as she walked through her valley and made it to the top. An easy walk it has not been but throwing herself into her two beautiful kids Heaven and Hendrix, that she co-parents alongside Kevin, and refocusing on her life goals dreams and ambitions, Torrei is glowing, at peace and living her purpose finally. 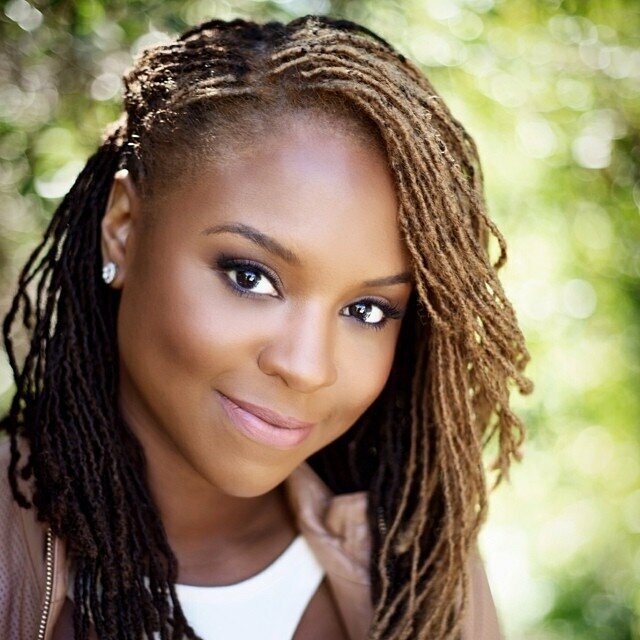 What intrigued me most about Torrei Hart was her obvious strength to be who she is authentically, outside of what conventional Hollywood expected of her, she has dared to live her life on her terms and that is something that is truly inspiring. The Philadelphian native is born with the city’s hustling streak and has worked tirelessly to be respected and admired for more than the man she was married to. A accomplished actress and comedienne in her own right, Torrei has gone on to appear in various TV and movie projects, including writing comedy sketches for her own YouTube channel “ PrettyFunnyFish” which has soared in popularity since its 2012 debut. So much so that it led to a production partnership with Russell Simmons to create a unique online comedic content for his company All Def Digital. 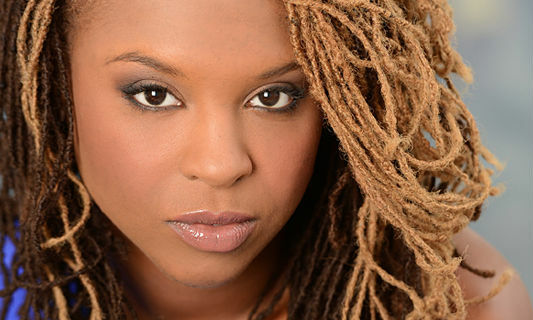 In addition to comedy writing, Torrei also co-wrote, executive-produced and starred in her own short film “Victim of Circumstance”, which went on to win her numerous awards in the short film community and can now be seen on Vimeo. Where most might really get a better glimpse and understanding of Torrei is on the VH1 hit series Atlanta Exes, which aired in August 2014. Covering the stories of famous ex-wives residing in Atlanta and resuming their lives as mothers and business women in their right, Torrei emerged as a strong, caring, funny and honest friend and ally to her cast mates, that included Tameka Raymond ( Usher’s ex-wife) and Monyetta Shaw ( Neyo’s ex fiancé) to name a few. The show and Torrei’s role in the successful franchise, which has Hollywood Exes as its originator, aired to positive reviews and a better understanding of the women behind some of the biggest male artists and entertainment personalities today. For Torrei, it was a personal triumph that put a human face to the women who walked through the fire and has come out soaring. It helped launched her successful low calorie drink mixer range Skimpy Mixers and put her in a better and stronger place with her ex-husband Kevin as they entered a new phase of forgiveness, peace and friendship. This interview was candid, honest and real and something I truly enjoyed, getting to know this dynamic woman and the path she has walked. 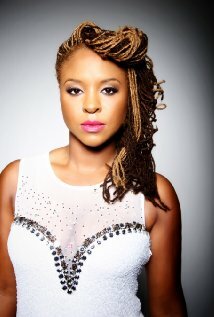 With an abundance of opportunities and blessings that pave her way, Torrei Hart is destined for great things. As we talk about her upcoming new movie American Bad Boy, due for July release, she also opens up about owing herself and her destiny, her new lease on life and letting go and letting God! Hi Torrei, such a pleasure to speak with you – How are you and how is life treating you? Hey Maxine, thanks so much for having me on your blog. I am doing really well, living my life as best I can and doing what I do (laughs). Actually as we speak right now I am on my way to an audition so I am multi-tasking and getting things done. I am good though so thanks for asking. Torrei, I have been a supporter, fan, and cheerleader of yours from the start lady. You carry yourself with a poise, grace and humility that is extremely endearing. From your personal life to your professional life you take on life with positivity and above all as a mother who is building a legacy for her children, and as a mother myself out here on the grind I can truly relate. How would you best describe the essence of Torrei Hart, what drives her, fulfils her and makes her the woman she is today? Wow thank you so much, that really means a lot to me for you say that. I would really have to say that I just want to succeed in life you know. I mean everything that I have been through have just made me stronger and push to want to continue succeeding in my life. I feel that is how most women are about what they want out of their lives, especially when they have endured a lot, you know. Having dealt with everything I have dealt with in my life so far has made me a stronger woman and I feel a responsibility to women who are coming through similar situations in their lives to be able to help and support them through that. I have a lot of women reaching out to me on social media asking me for support etc. so it’s really those women who keep me going because if I just stop moving forward and sharing my story, then I’m not only letting myself down but these women as well. So thank you for asking me this question and for your kind words Maxine as this lets me know that I am the right path and what I’m doing is reaching the right people, because let me tell you there are some days when I need that extra push just to make it so I really do appreciate it. Congratulations on your burgeoning business projects Skimpy Mixers and your successful stint in reality TV on the successful Atlanta Exes show. Two very different ventures but both have worked in your favour. What was your deciding factor in doing the show and how do you feel you have grown as a result of the Exes show? How did the Skimpy Mixers venture cone about and how is that project going for you? Thank you so much. Well honesty I wanted to do the show because I really wanted to get my story out there and you know being a business woman I thought it was a great business opportunity to get myself out there as I have a lot of ventures going on right now. Doing reality TV, if done the right way, you are able to establish a platform so I looked at it as being able to establish that platform with the women that were involved with this show. I could relate to their personal stories and I felt that they were a great group of women to connect with so ultimately for me there were several reasons for doing the show. In the end I feel it was a plus for me doing the show and I was then able to launch my Skimpy Mixers drink range (low calorie drink mixing range) and now the range is going really well selling on a national platform and through Amazon.com globally and I feel that had I not done the show, people would not have known or seen that side of me as a business person so yeah it’s been a great experience and has helped me grow is many ways. I also just felt that my story needed to be told by me at the end of the day. 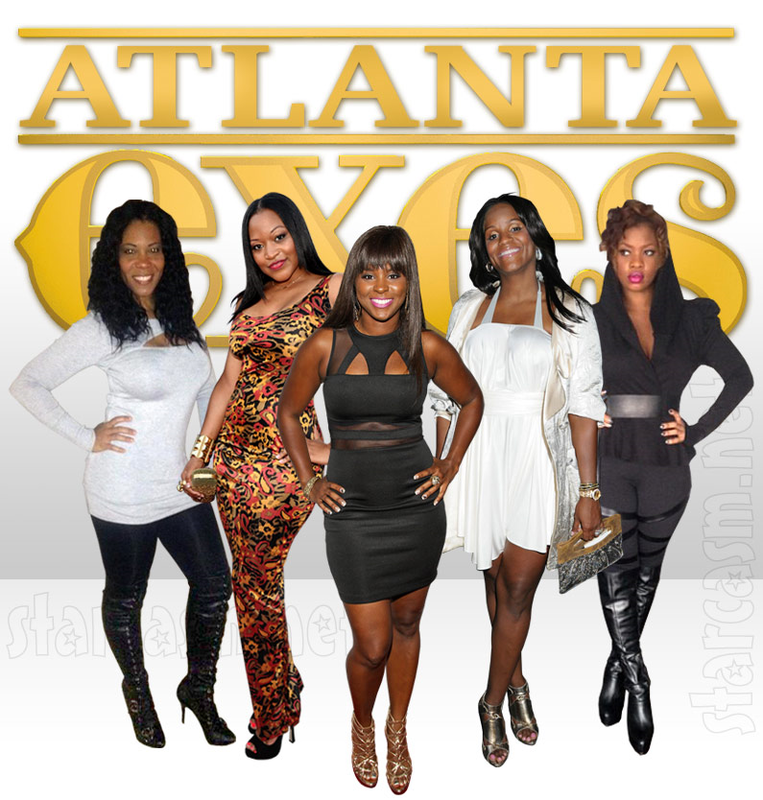 Let’s talk the show and your friendships with the other ladies on Atlanta Exes. Even though in the show you were still relatively new to Atlanta and getting to know the other ladies you fit in real quick and made your presence known in a few scenes where drama arose ( which I loved seeing how you handled it all). Your relationships with all of the cast seem to be based on a familiarity and kinship being that you had all been through similar heartbreak, which we could all relate to. Have you maintained the friendships with the other ladies since the cameras stop rolling and can we see a Season 2 coming out? Yes I actually still have a relationship with the ladies and we do maintain communication, with everything being very cordial you know. I am not too 100% sure what is happening with a second season as yet so we are still in limbo with that, but I gotta keep it moving you know so I am busy with all that is happening in my life right now ( laughs). The world has watched you go through the breakup of a marriage played out in the media and every sharing an opinion as if it were there union. 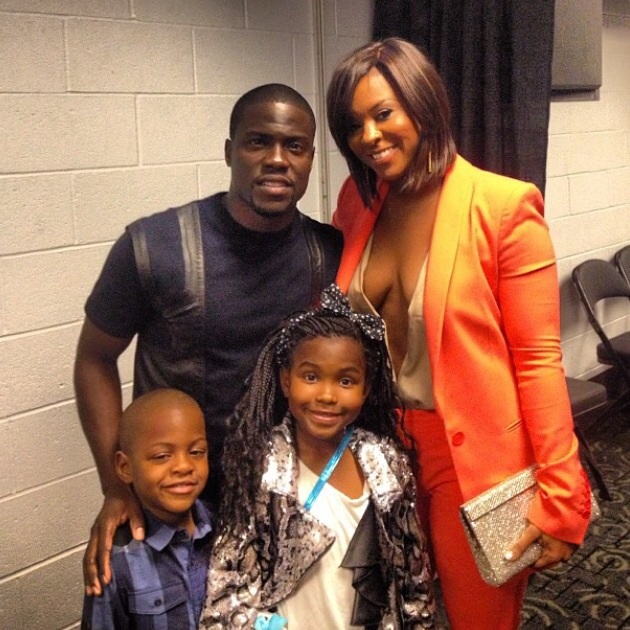 Your relationship with Kevin was and still is powerful and built up around two beautiful children and has been something, although painful to watch from the outside, truly inspirational to see how you have both worked so hard to be good parents and role models for your kids. Torrei looking back at that painful but empowering chapter in your life, what do you know now that you wish you knew then and how is your relationship with Kevin now that the years have passed? Well you know now Kevin and I are in a great place and we have definitely had to work out this co-parenting situation as best as we could. I support Kevin 100% and he supports me 100% and we sat down at the beginning of this year and just had a long talk about everything and just hashed it all out and decided that we don’t want any drama. We just want peace and we want what’s best for the kids, so our relationship right now is in a really good place. It took a little while to get here you know, it had its ups and downs as life does and now we are in a great place. And it feels great that not only am I in a good place with him but I am in a good place with his fiancé so when you have peace and understanding it’s the best feeling in the world. So for me, what I wished id known before is that everything will get better if you allow it to get better in time, change is hard for everybody but when you except it and move forward as positively as you can other things happen and other doors open for you that bring upon positive change. So that’s what I’ve learnt through this experience about myself and realising that change is a good thing! Let’s talk about your new movie that’s coming out and your own brand of comedy, which I have read that you are developing some television shows? Continued blessings to you and this incredible journey ……. Yes I do and I am really excited about the movie. It’s called American Bad Boy and I’ll be starring beside some amazing comedians like Katt Williams. The movie is coming out in June 2nd and I can’t wait for people to see it. And yes I am always working and creating and developing scripts and shows, based on my life and my brand of comedy so I feel very blessed. Are you a hip hop girl or RnB girl and if so what are you currently feeling music wise right now? Oh my gosh so right now I am actually a hip hop girl, I love RnB but lately it’s been all about the hip hop for me (laughs). I also recently went to Jamaica and was into the reggae and the good vibes that that music gives, which really just eased my mind. So yeah it would be between hip hop and reggae right now. I’m feeling the Weekend, J. Cole, Kendrick Lamar and of course Jay Z, I’ve been a Jay Z fan till I die and of course Biggie so I am definitely a hip hop girl indeed. What is your biggest turn on and turn off in people or life? Mmmmm well my biggest turn on is genuine people. You know living in LA there are a lot of people that will project themselves to be one way and then when you see them again they are totally not who you thought them to be so for me, when I meet a genuine person and we have that real honest connection and everything flows right, it’s a great turn on, because I can tell when people are trying to force that connection. My turn off would be the same again, non-genuine people and their energies don’t sit well with me. It’s okay to be your true self, people will appreciate you better if you show who you are. As long as we have a level of respect for one another that’s all that matters in the end.